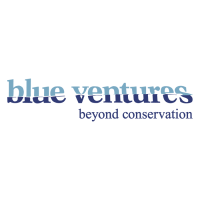 Blue Ventures develops locally-led approaches to marine management that benefit people and nature alike. By listening and responding to basic needs, we design our models to catalyse and sustain marine conservation, unlocking the potential of coastal communities to manage their resources. We work in places where the ocean is vital to local cultures and economies, and we are committed to advancing the rights of small-scale fishers throughout the coastal tropics. The Country Director is responsible for overseeing the safe, effective and efficient delivery of Blue Ventures’ activities in Madagascar. Setting the example for our culture and values, they lead a dynamic, multi-disciplinary, field-focused team of 150+ colleagues across seven coastal locations and our support office in Antananarivo. Driving continuous improvement in operational effectiveness, the Country Director is responsible for creating a positive professional environment that protects, nurtures and develops the talents of our team. The Country Director plays a key role in advancing BV’s global conservation strategy, informed and inspired by lessons from the field and BV locations across the world, for transformative change across our work. The Country Director is responsible for marrying this global strategy with the needs and opportunities of our Madagascar team, evolving and implementing the national strategy for Madagascar through close community, staff and partner engagement. The Country Director is accountable for ensuring that our activities are well designed, respond intelligently to community need, and are progressed on time and to budget through careful planning, decision-making and progress reporting. The role is also responsible for ensuring that BV’s overall commitments and workload are in line with our capacities and capabilities, ensuring that adequate adjustments are made in good time according to need. The UK support office is at the Country Director’s disposal for these purposes, with an expectation of close collaboration so we meet our goals. The role reports to the Conservation Programmes Director in our UK support office. Applicants should apply online, using the following hyperlink, by Friday 10th May 2019.